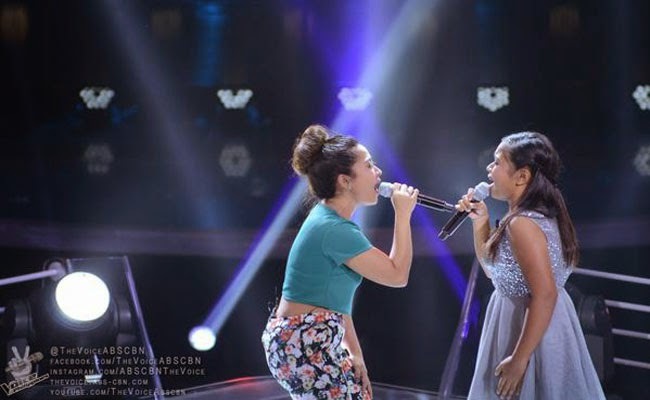 Catch the Team Apl's Alisah Bonaobra vs. Abbey Pineda in final battle on Sunday, December 21, 2014 at 8:30 PM on The Voice of the Philippines Season 2. Even before joining The Voice, Alisah Bonaobra is already a YouTube sensation as her video of singing Let It Go had gone viral. As for her Blinds Audition, she had chosen ‘Domino’ by Jessie J, the same song Darren Espanto performed in his own audition for The Voice Kids. Bonaobra is a three chair turner having Sarah, Lea and Apl De Ap turning for her. In the end she had chosen Apl De Ap’s camp. The full time mother Abbey Pineda is set to prove her talent and tries to get a chance to secure a better future of her son. She caught Apl De Ap’s attention as she performed ‘I Just Can’t Stop Loving You’ by the king of pop, Michael Jackson. Find out who survives the final battle round on December 21, 2014 by bookmarking and reloading this page.